Divi Little Bay Beach Resort on St. Maarten recently opened a new pier on the property in tandem with Aqua Mania Adventures, one of St. Maarten’s largest water adventure companies. Beginning this month, a wide range of water sports and adventure tours led by Aqua Mania will start at the 100-foot-long pier, made of steel and concrete and finished with wood for a pleasing look. Conveniently located on the grounds of Divi Little Bay near the Aqua Mania Adventures kiosk, the pier will serve as the launching point for round-the-island trips, champagne brunch sails, sunset sails and adventure tours. See below for the weekly schedule of departures from Divi Little Bay, subject to change. For the most current schedule, contact Aqua Mania Adventures. 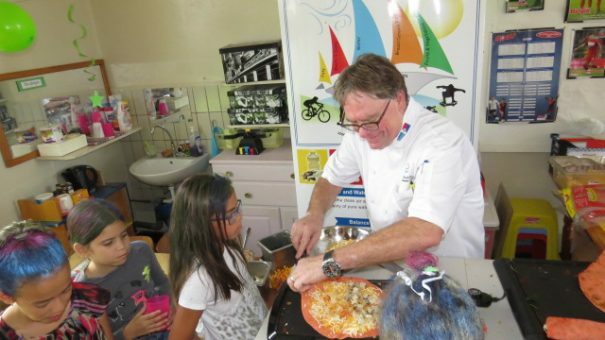 Regional Executive Chef for Divi Resorts Matt Boland recently led two cooking classes for young children at a local school in Oranjestad, Aruba. 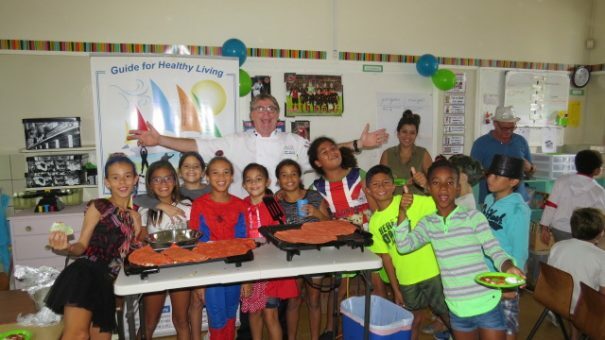 Using simple ingredients like spinach and mushrooms, he showed the kids how to prepare a simple quesadilla with vegetables as he talked about the importance of healthy eating habits and properly balanced nutrition. Then the classes sampled the meal—proving that nutritious food can also be delicious! 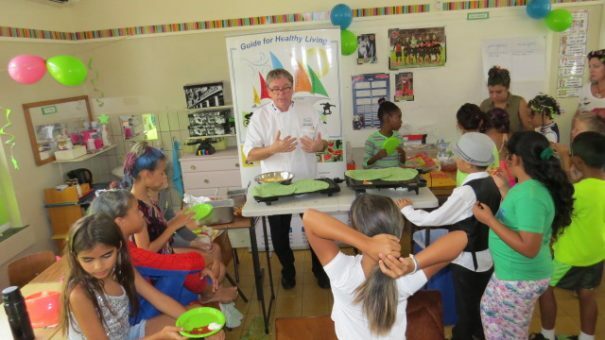 Chef Matt and Divi Resorts organized the classes in concert with IBISA, a department of the Aruban government focusing on public health. “Working with children and food are two of my favorite things, and being able to combine them—while showing children healthier eating habits—is a win-win,” Chef Matt says. 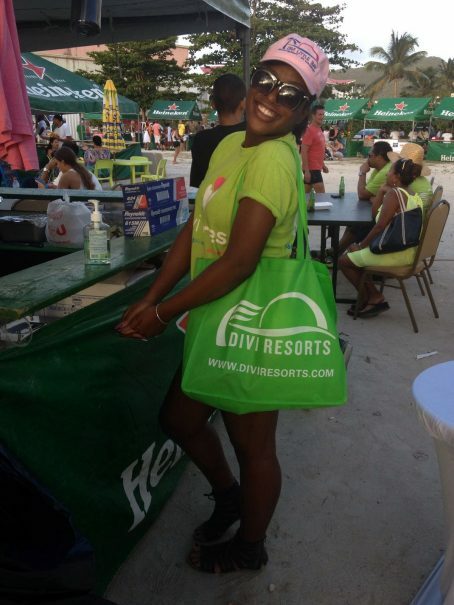 Divi Resorts is proud to partner with local Caribbean island communities as part of their corporate Divi Cares initiative. Many of the outreach programs they support directly assist in educating children and supporting schools, focusing on healthy lifestyles, animal rescue and humane treatment, as well as green projects focusing on environmental impact on land and sea. 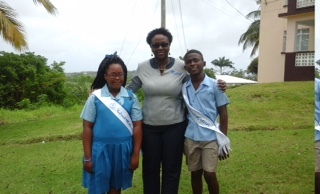 As part of their Divi Cares program, Divi Southwinds Beach Resort on Barbados recently worked closely with the local Mount Tabor Primary School to sponsor a class trip to the resort for the school’s grade 3 students. The students got to be “tourists for a day,” learning about the tourism industry and its importance to the Barbadian economy. After the tour, the students wrote about their experience and what they had learned. During Mount Tabor’s recent end-of-the-school-year graduation ceremony, Divi Southwinds staff once again partnered with school officials to present top-scoring students in their graduating class with gift certificates to purchase back-to-school items as they transition from primary to secondary school. In addition to this gift, Divi Southwinds surprised these students and their parents with dinner for their families at Divi Southwinds’ pureocean restaurant in celebration of their achievements. Divi Southwinds staff would like to recognize the top-scoring students in the class of 2016, Zachari Daniel and Aaliyah Gibson. Congratulations, Zachari and Aaliyah, on working hard and your achievement! 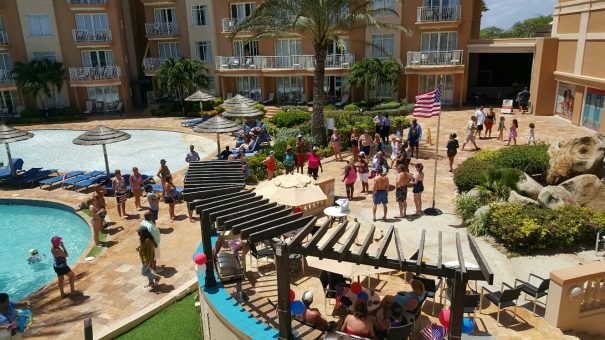 Divi Phoenix hopes everyone in the Divi family had a safe and fun Fourth of July! Let us know how you celebrated in the comments. 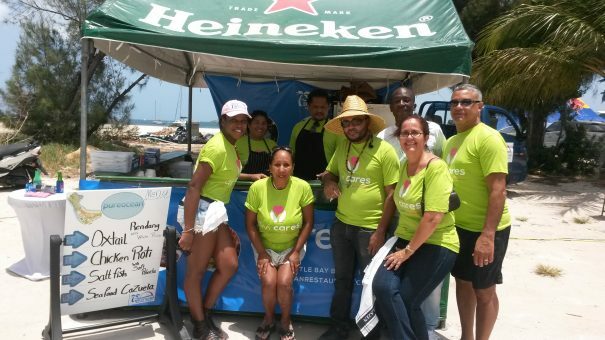 On July 3, the Annual Taste of St. Maarten food festival and community event brought the entire island together to celebrate the amazing variety and quality of St. Maarten cuisine, proving why the small island is known as “the culinary capital of the Caribbean.” Executive chef at Divi Little Bay Beach Resort Iwan Hokahin and his culinary team offered samples from the pureocean St. Maarten menu to the crowd. Tourists and locals alike enjoyed pureocean’s chicken roti with pickled cucumbers, polenta with stewed saltfish and fire-roasted peppers, seafood cazuela with shellfish and coconut milk, and oxtail rendang with jasmine rice and sweet plaintains.